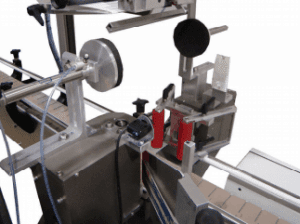 In the fully automatic labeler 1200SP we have combined the speed of our WebMaster 1000 and the accuracy and bottle control of our model 500 to produce a labeler that is truly unique. 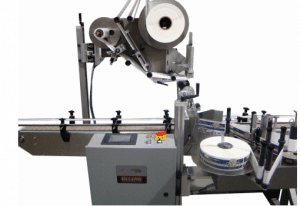 The 1200SP automatic labeler is designed for accuracy and speed for both one or two label applications on round containers. is generally a better reference point. Note that for two label applications (front and back) the labels must be alternating from the same web. 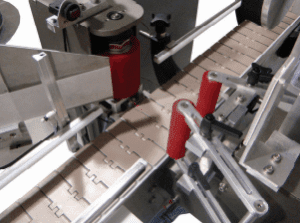 This machine also is capable of applying a neck label.